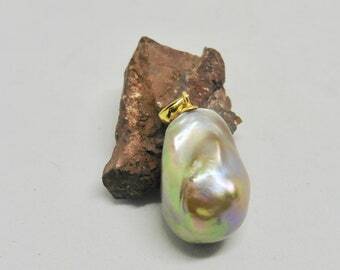 A pearl pendant from a single very large baroque pearl with a gilded hook to fill in, for example for a silk ribbon. 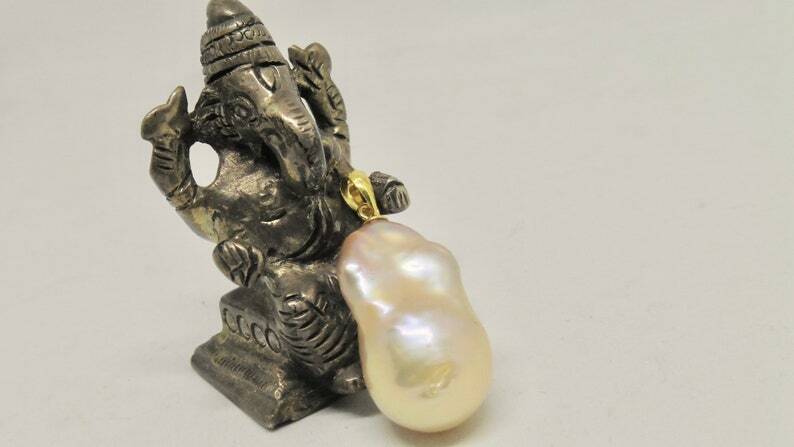 This pendant also looks enchanting on a delicate gold chain. It's a real Ming or Edison pearl. When you buy, you get exactly this pearl. She was specially drilled as a pendant just from above. The Edison beads are a new original pearl variety with core, originated from a new Chinese shellfish breeding, with very special shine and a surface with depth effect, it sometimes looks slightly a bit like folded, very natural with a Metallic surface. This Trailer comes without a Chain. On request I deliver this pendant with a free silk ribbon.